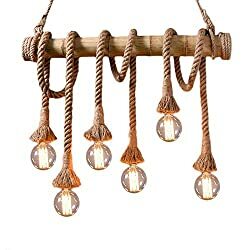 157766 products found in Hanging Lamps. 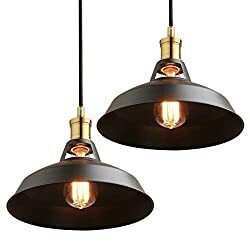 Your request for Hanging Lamps revealed a total of 6157766 results. 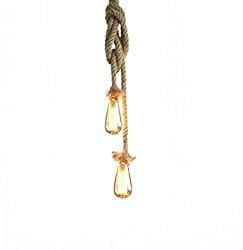 Product Features: Not only lighting but also decorating your house., E27 lamp base, you can choose any bulbs with E27 interface as you want., Made of hemp rope, the pendant light looks very special and vintage., You can tie various creative and unique knots as your preference., Perfect to create warm, romantic atmosphere for your restaurants, bars and cafes., Phansthy modern vintage pendant light is compatible with any Edison, Incandescent, Halogen, Compact Fluorescent, LED bulbs in standard E27 base, compatible wattage is 40 watt max.